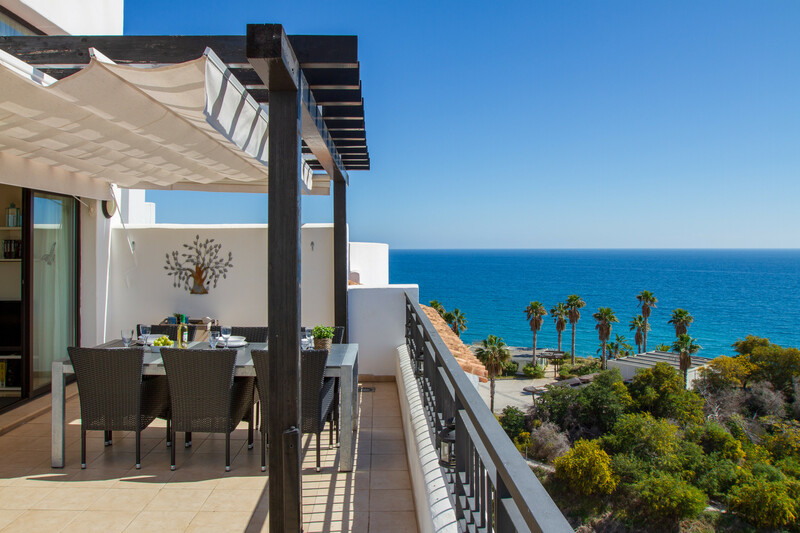 Modern penthouse apartment with a unique view of the Mediterranean Sea. 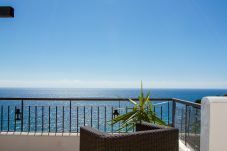 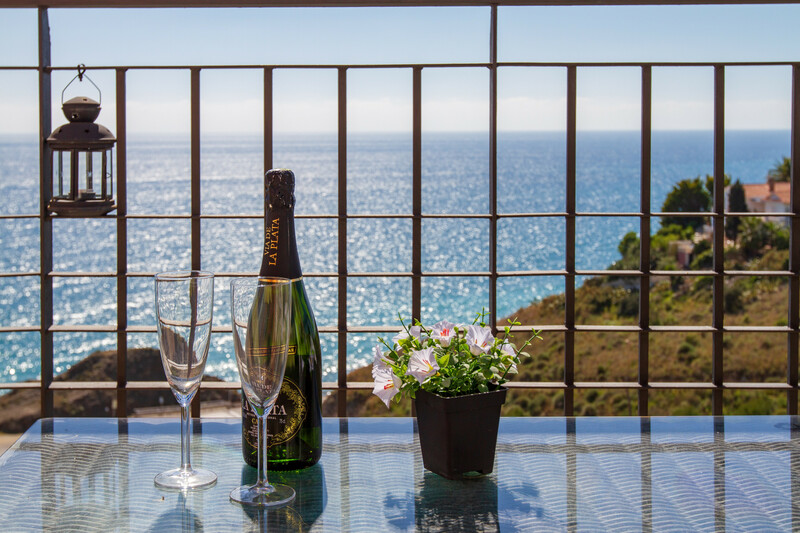 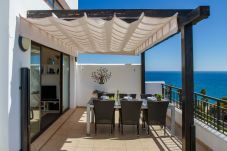 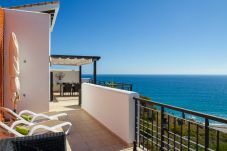 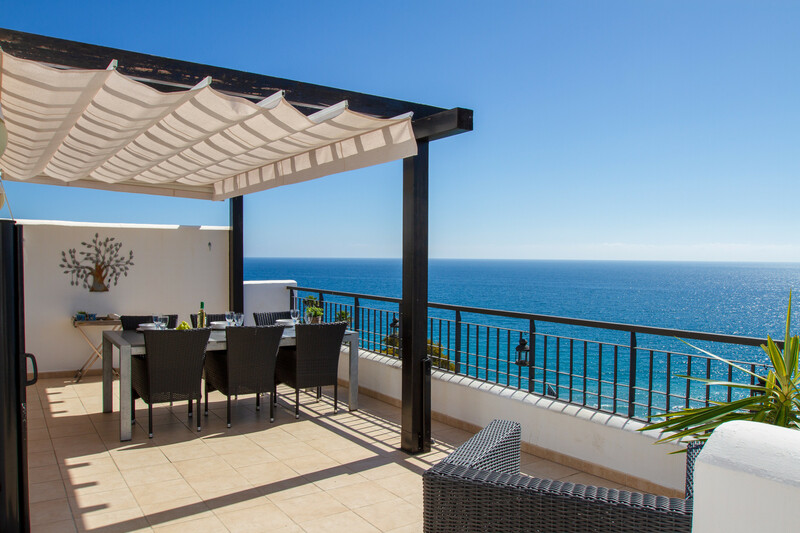 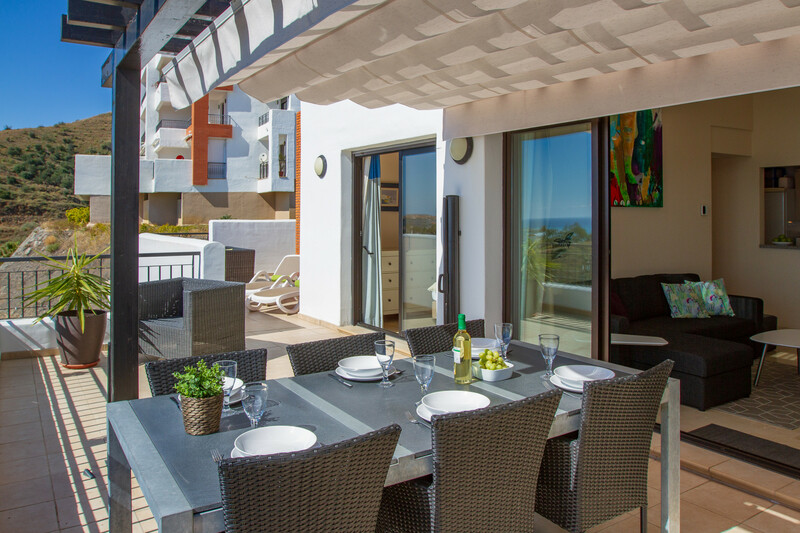 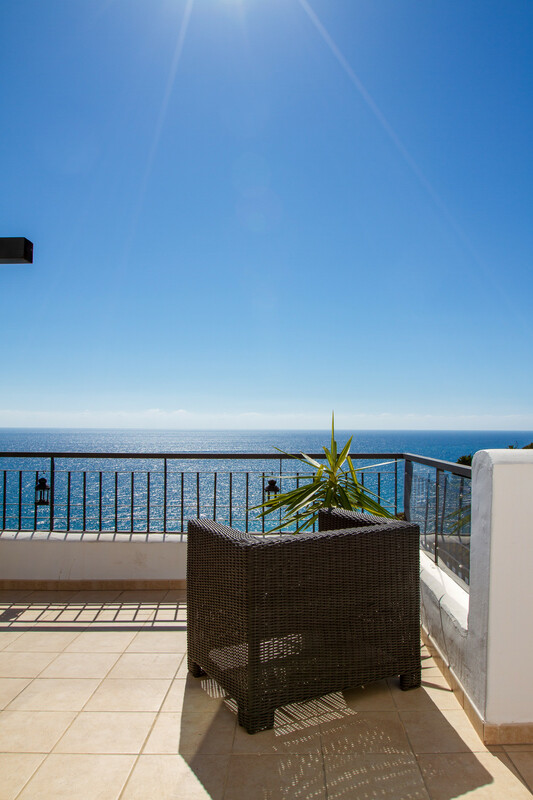 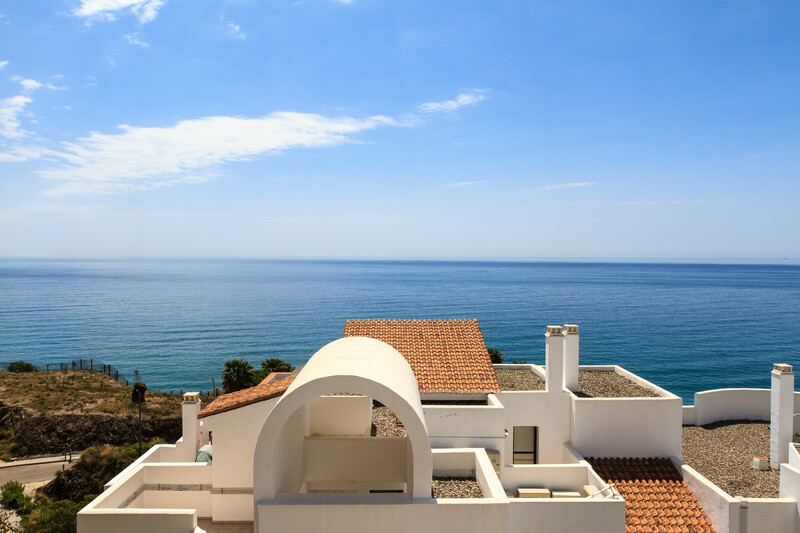 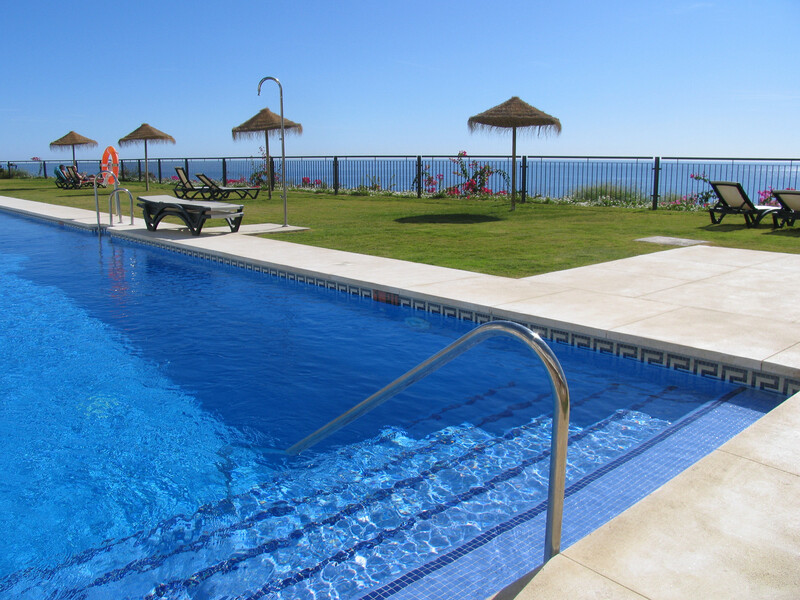 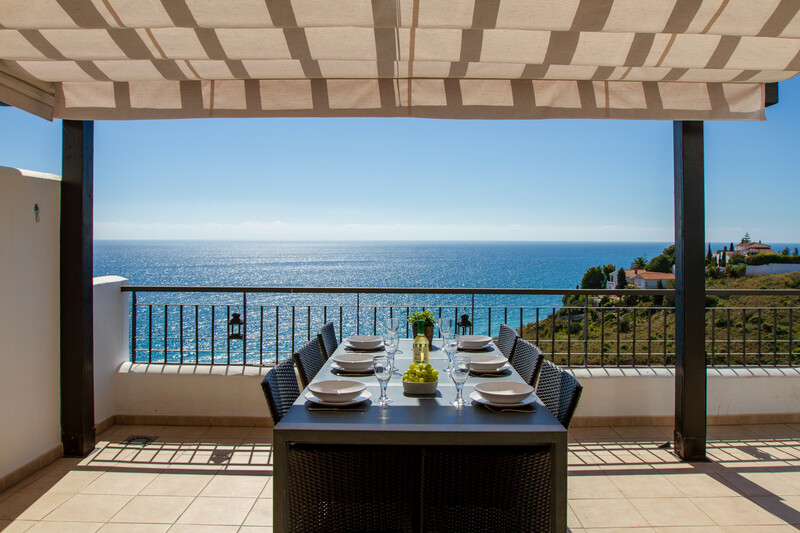 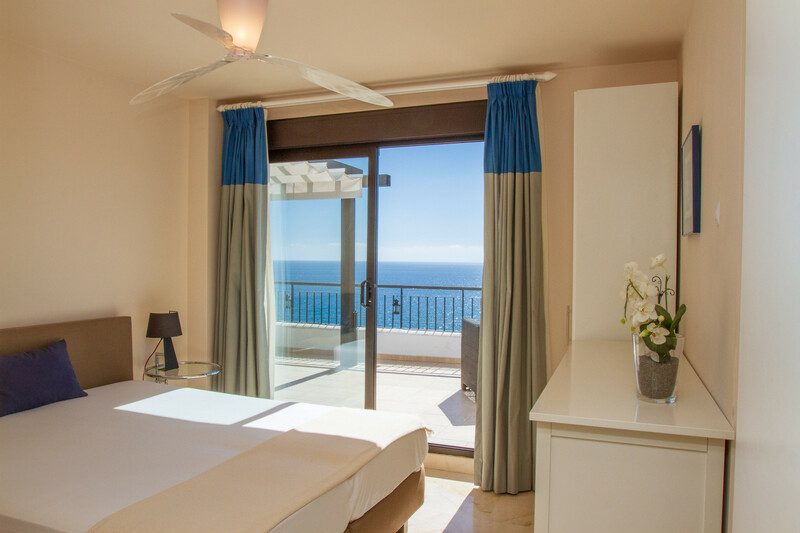 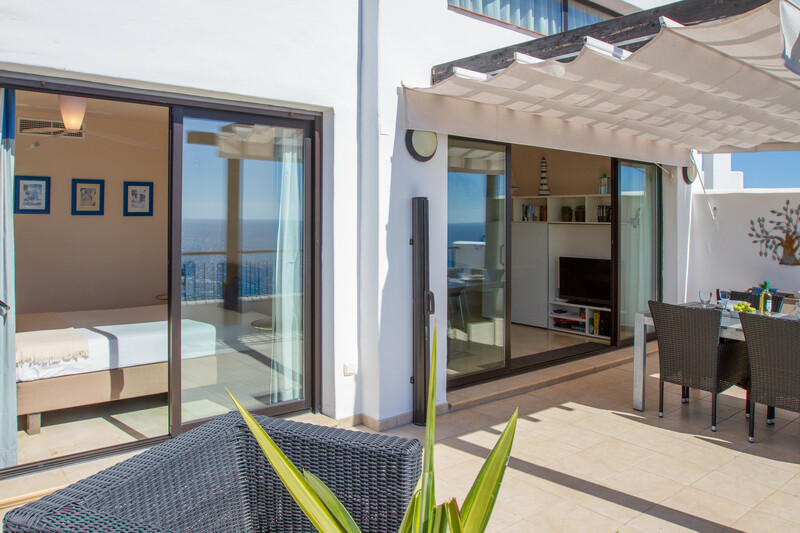 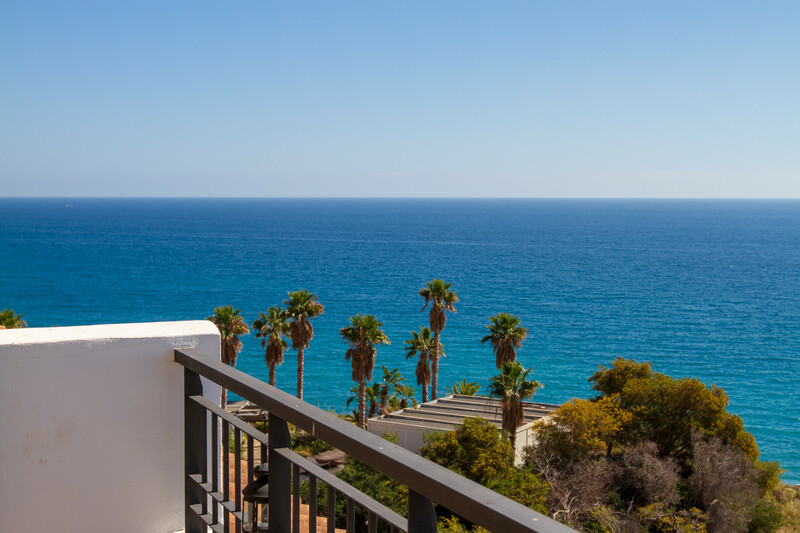 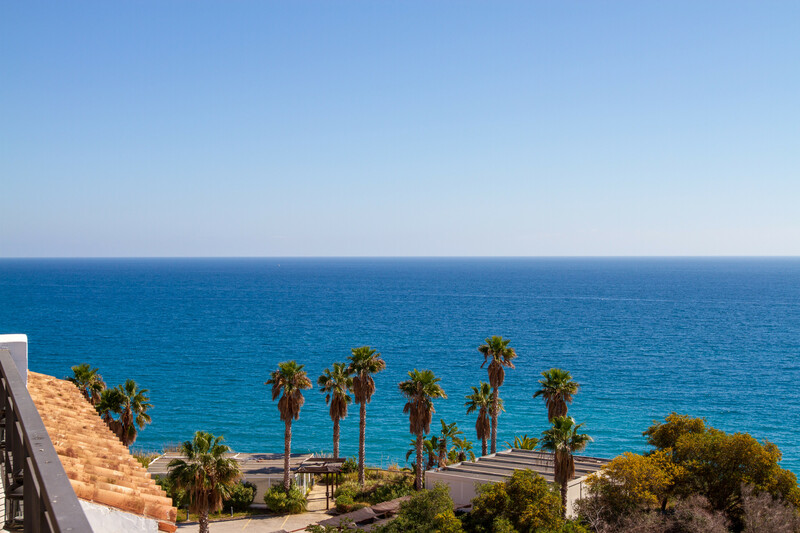 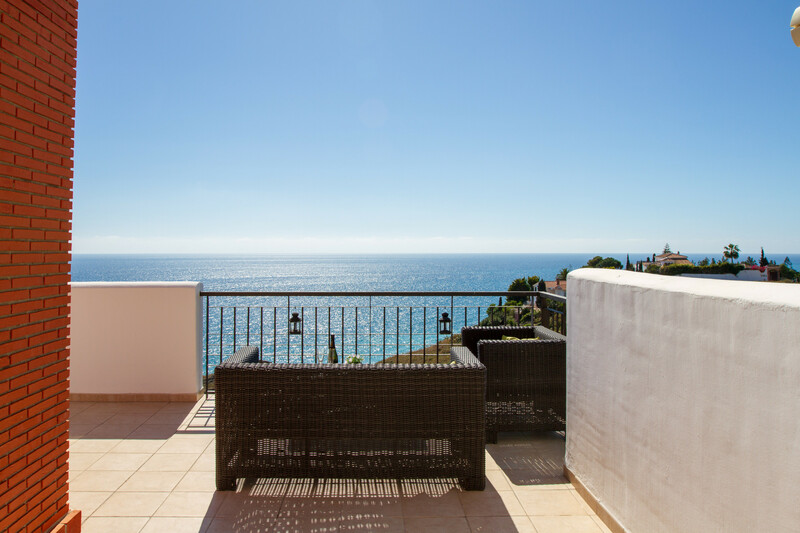 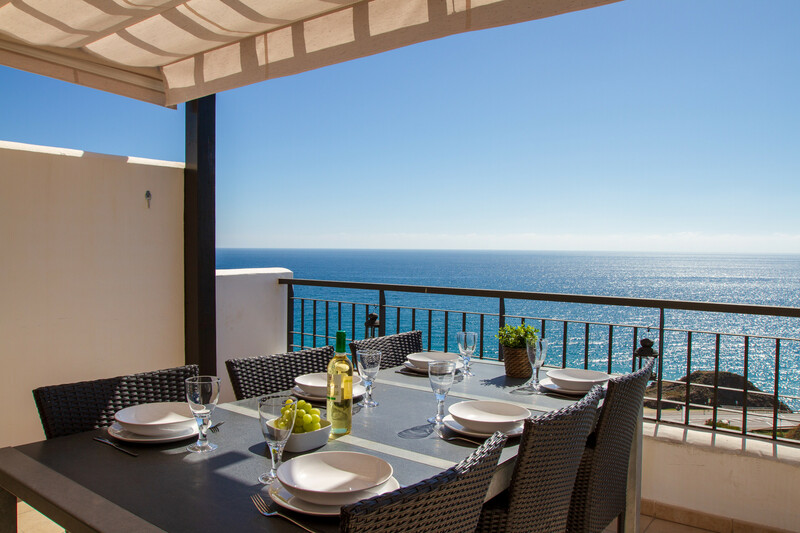 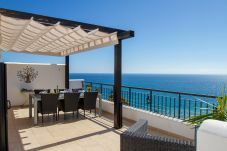 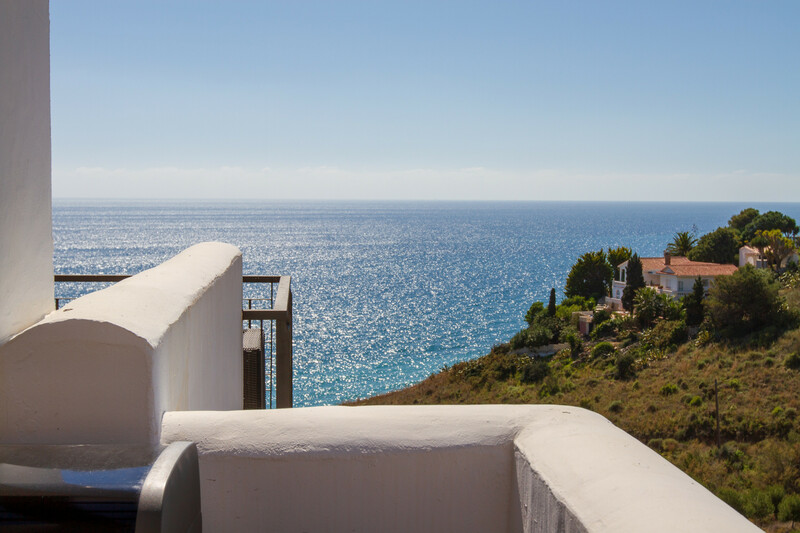 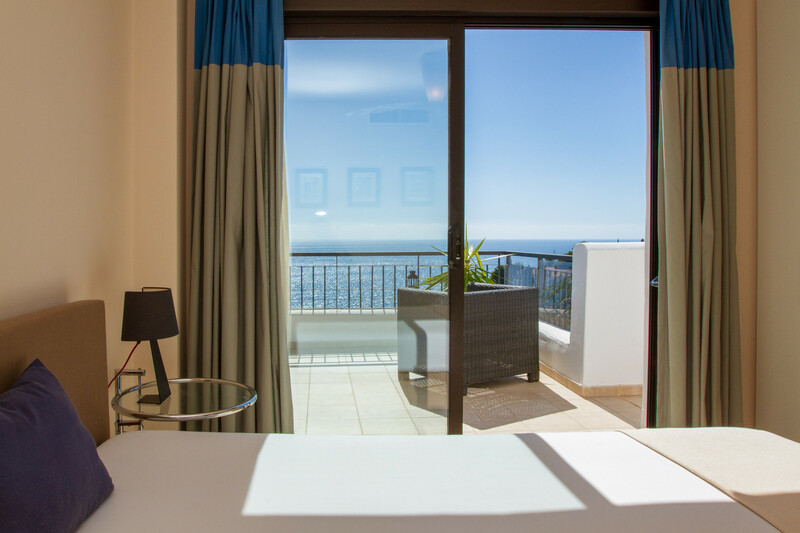 The penthouse is located in the newly built and modern complex Calaceite just outside of Torrox Costa, only a half hour drive from Malaga. 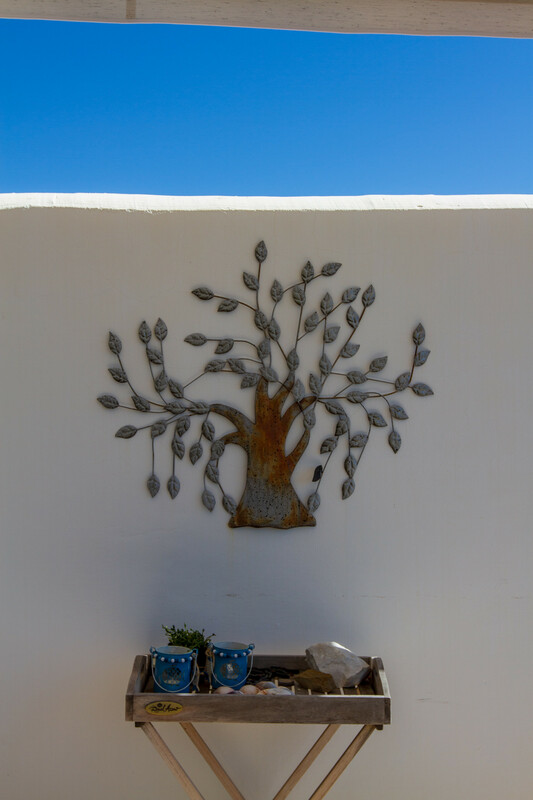 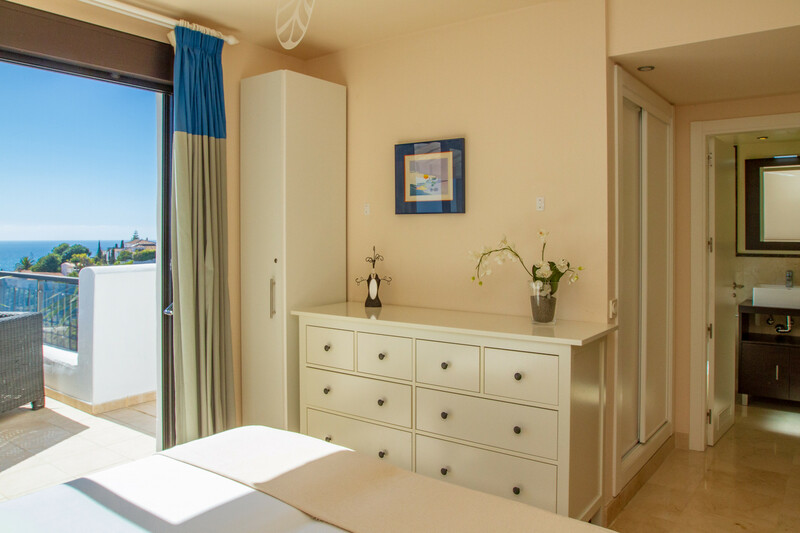 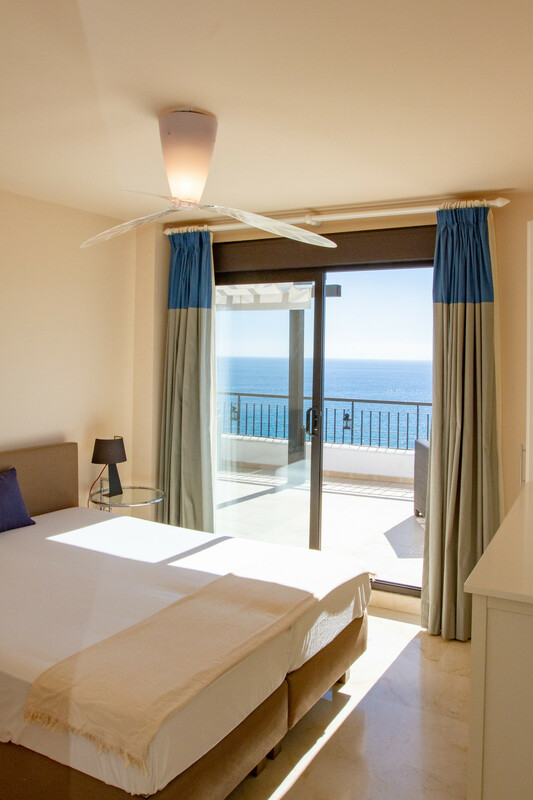 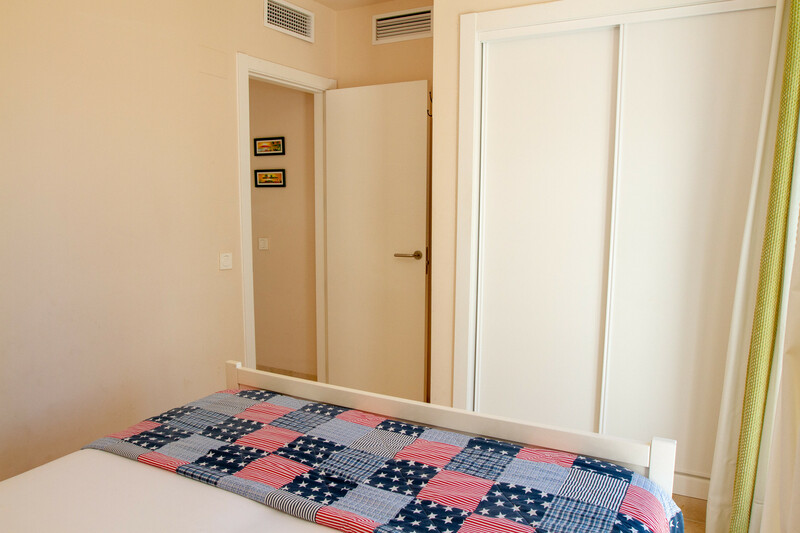 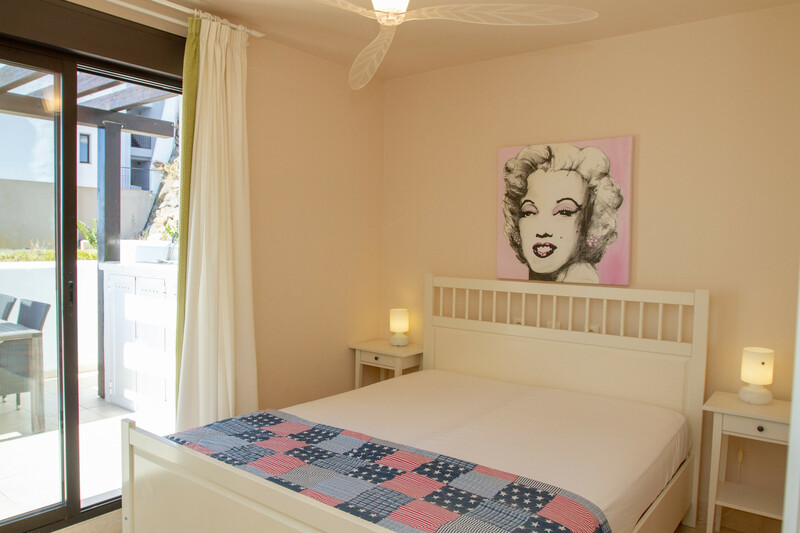 There are 2 bedrooms and both contain a double bed, wardrobe, air-condition and access to the terrace. 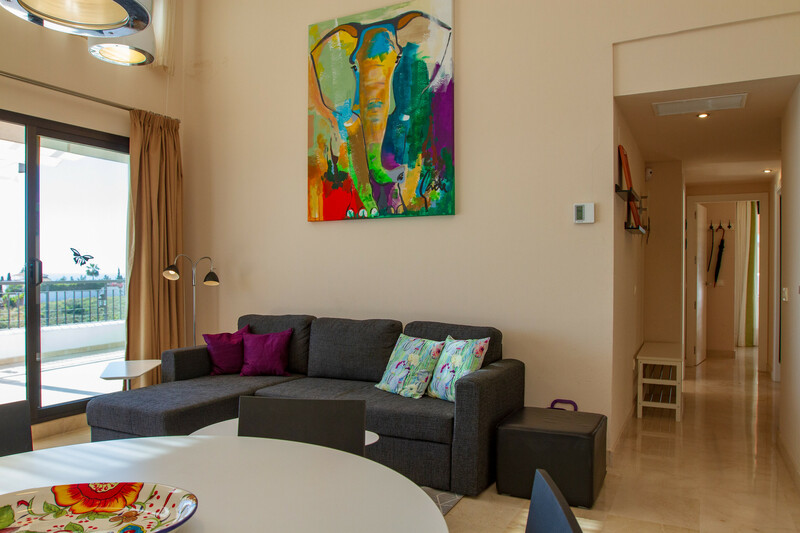 There is a nice living room with high ceilings and the extra windows, which gives a pleasant light. 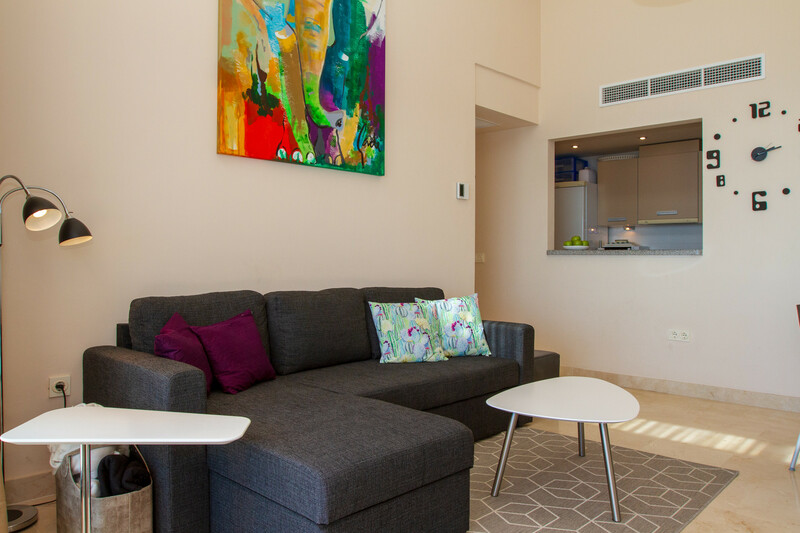 In the living room there is a comfortable sofa area with a sofa bed, which makes for 2 extra beds, and this makes it possible for 6 people to stay in the apartment. 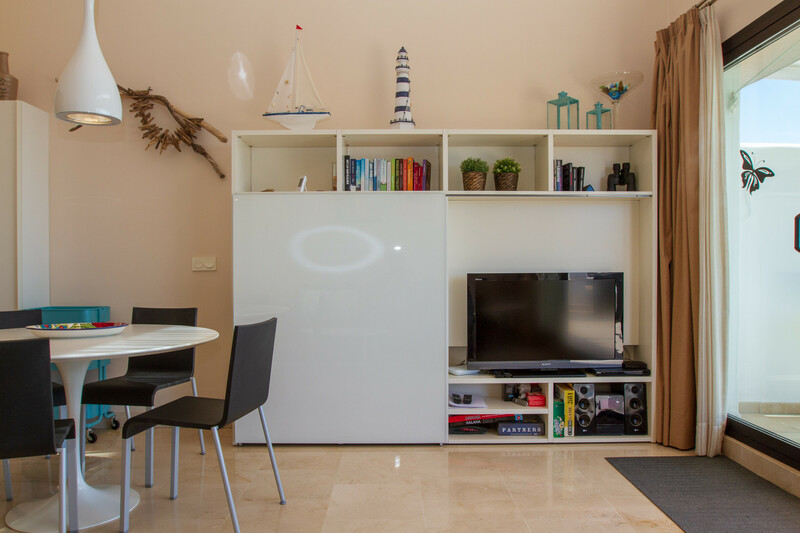 There is also a flat screen, satellite TV, DVD, free Wi-Fi and integrated air-condition. 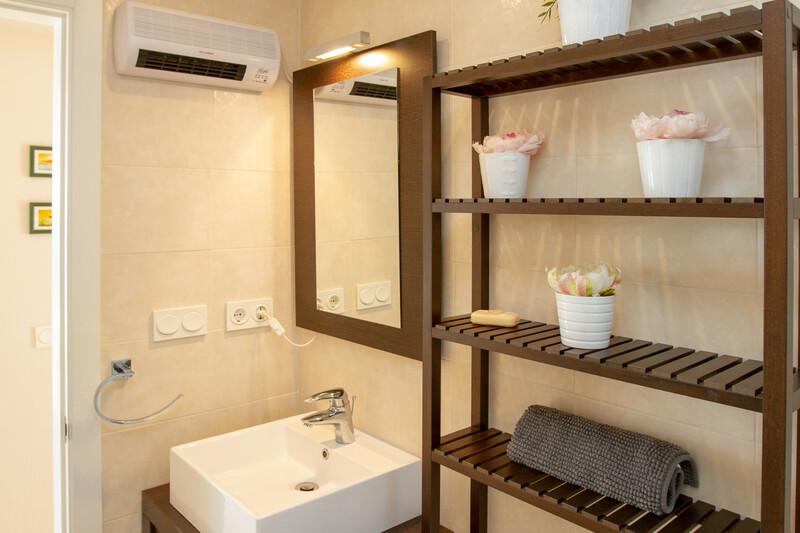 The whole apartment is modern and well equipped. 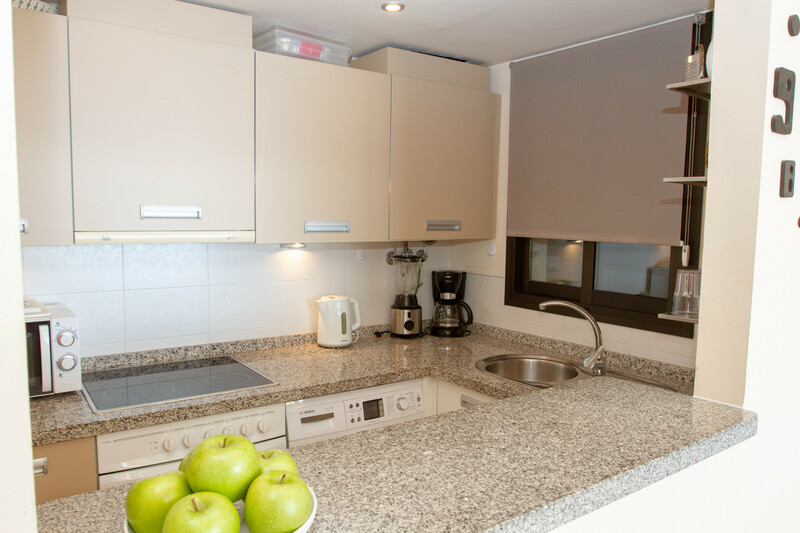 The fully equipped kitchen is in open plan with the living room and contains everything which is needed for a good vacation. 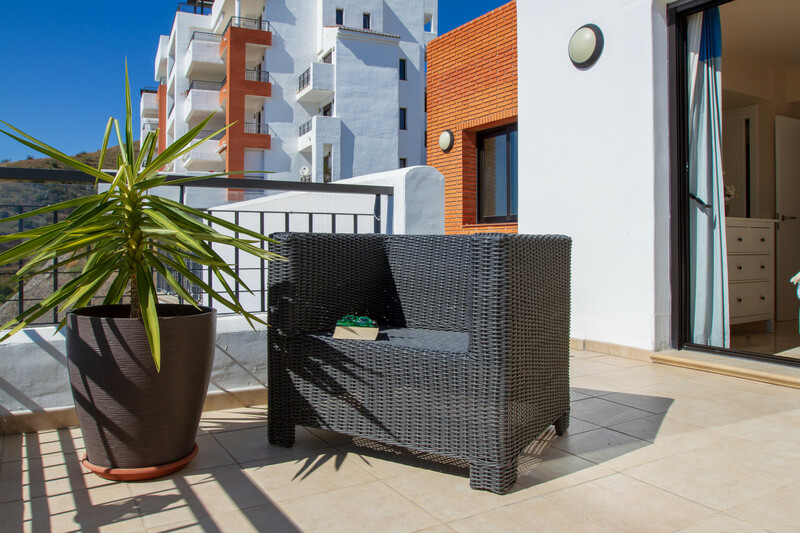 The apartment has a unique terrace which is nicely furnished with a dining table in the first part, lovely outdoor lounge area in the middle part, well-equipped BBQ area consisting of a gas grill and dining table. 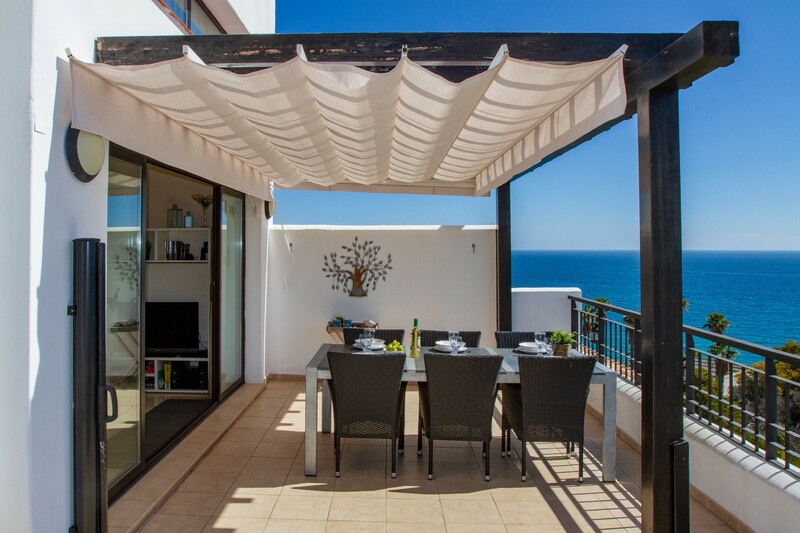 The outside area furthermore includes 4 sunbeds and sunshades. 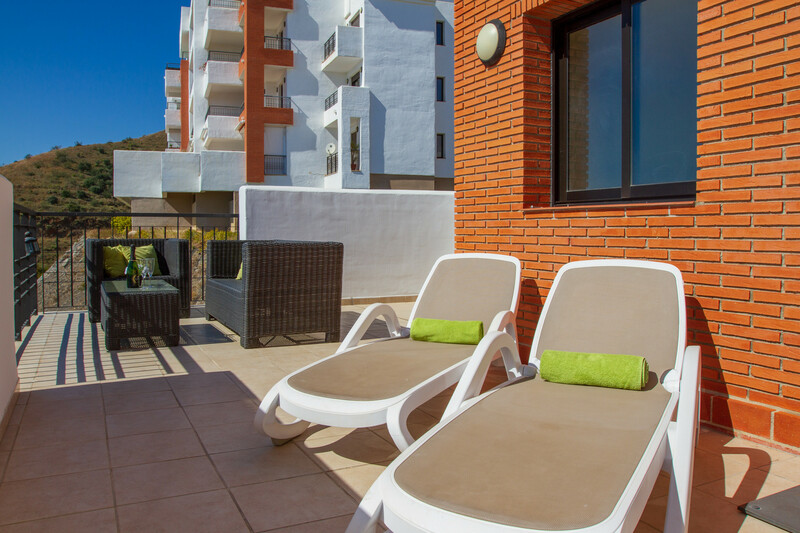 The terraces surrounds a great part of the apartment and you have the possibility to find either sun or shade the most part of the day. 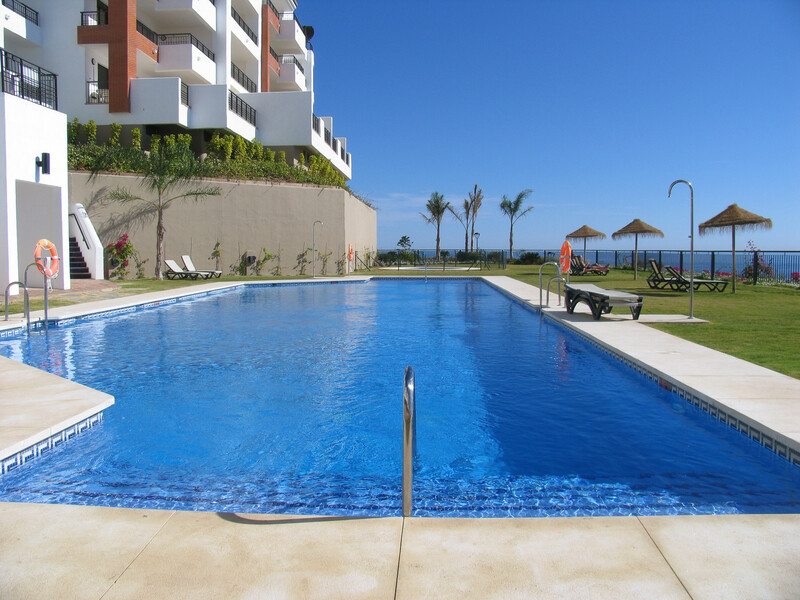 The community area includes 2 swimming pool areas, which also include children’s pool, sunbeds and parasols. 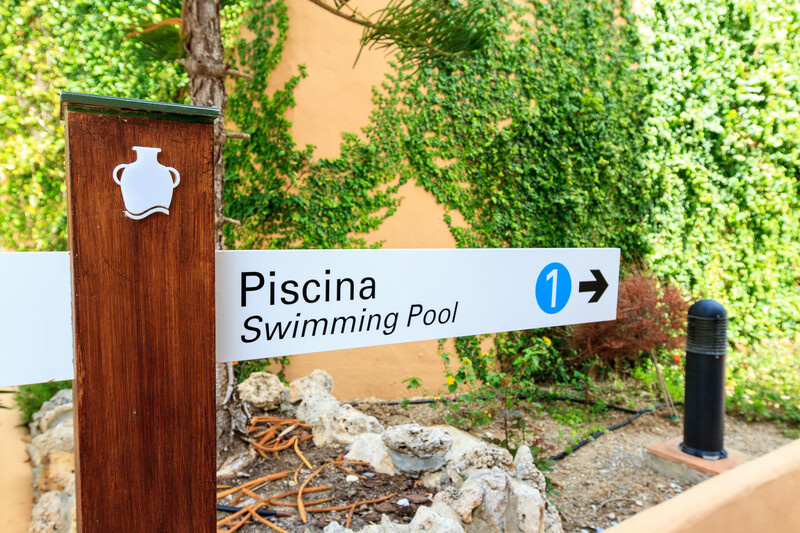 There is also a private parking space in the underground car park. 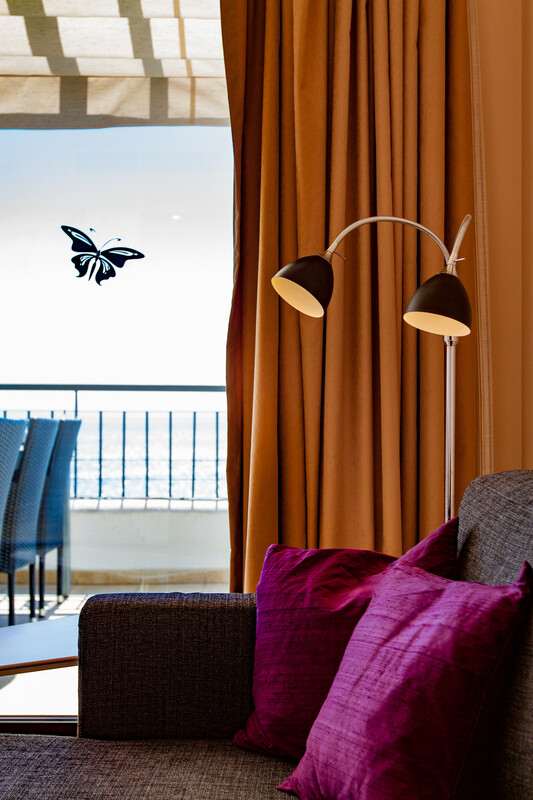 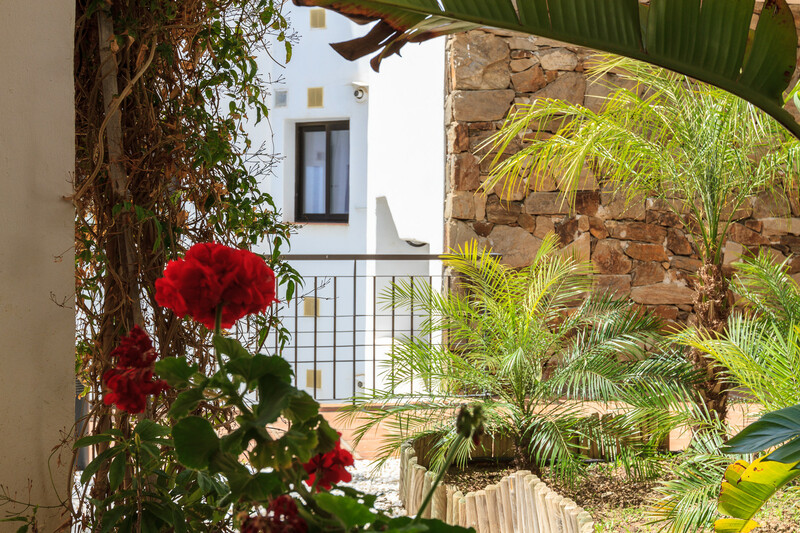 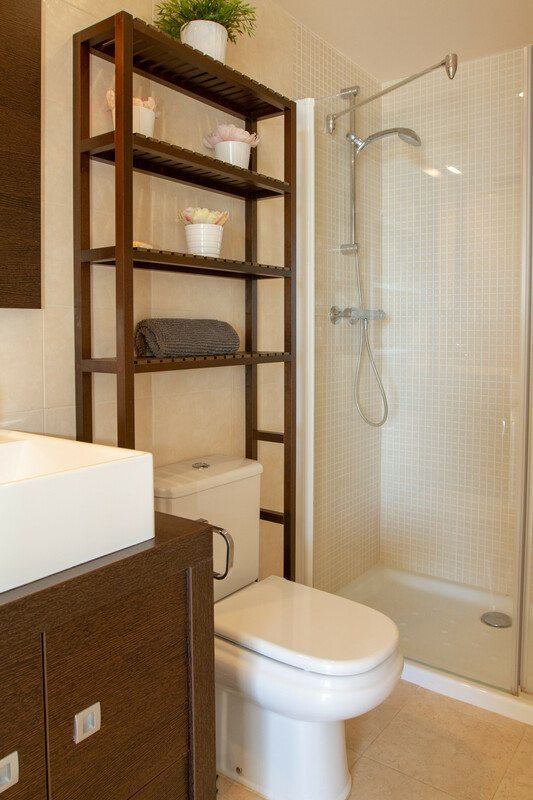 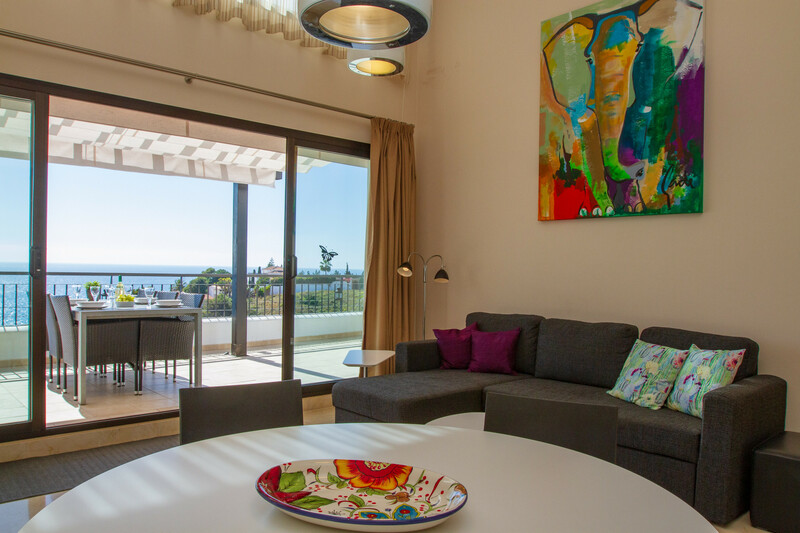 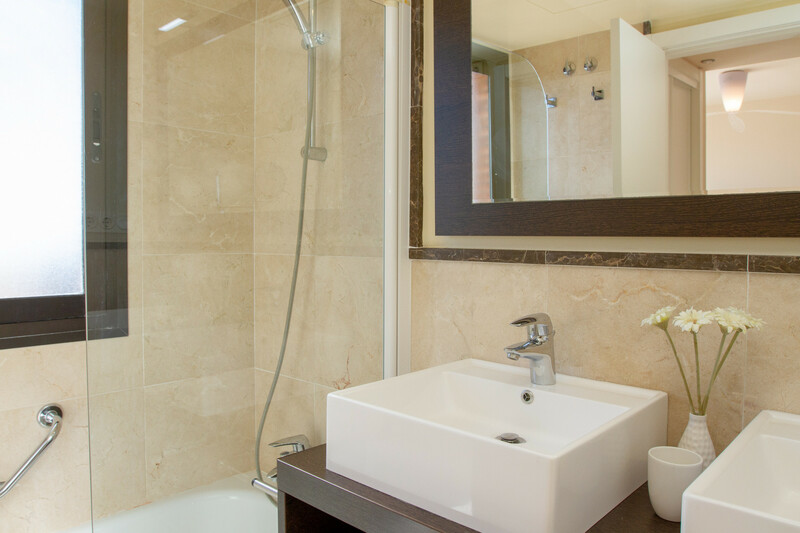 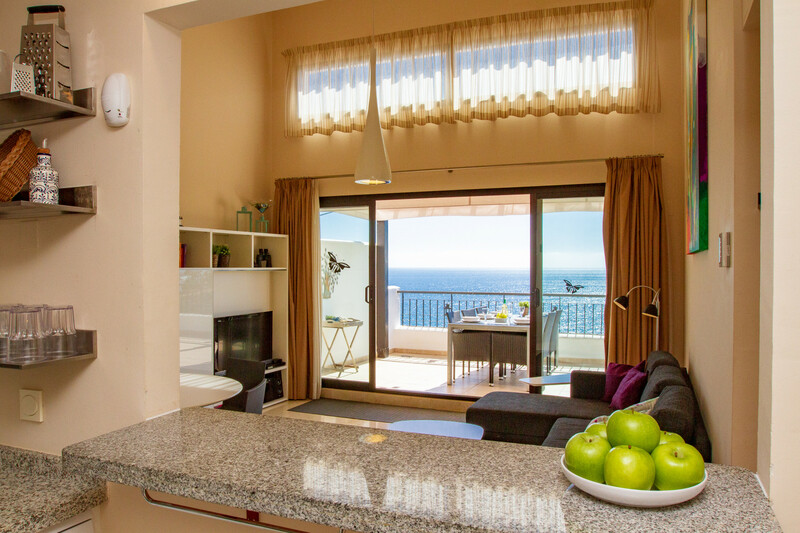 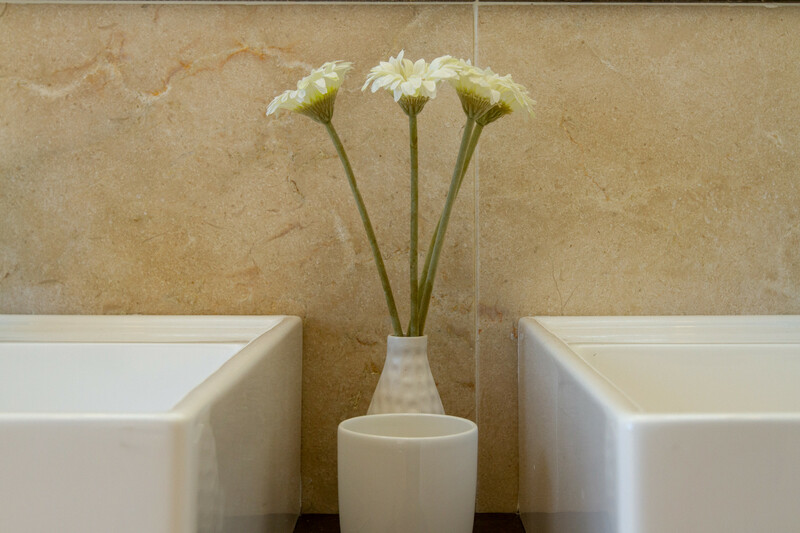 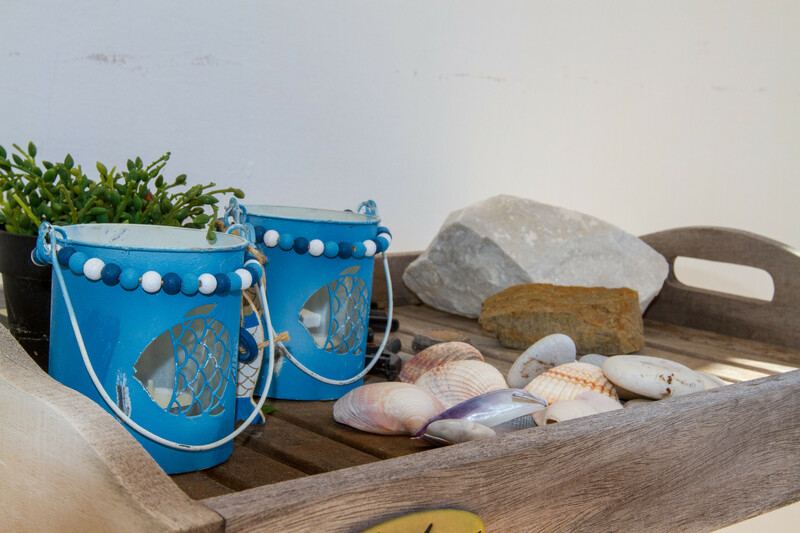 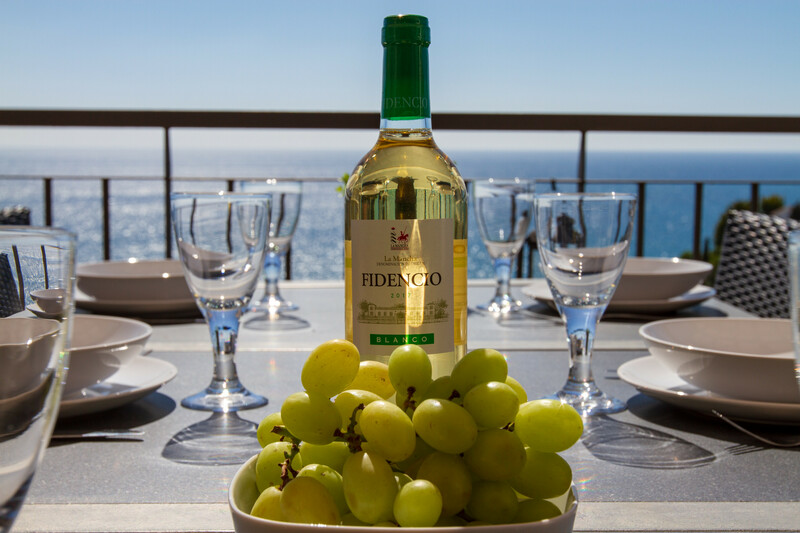 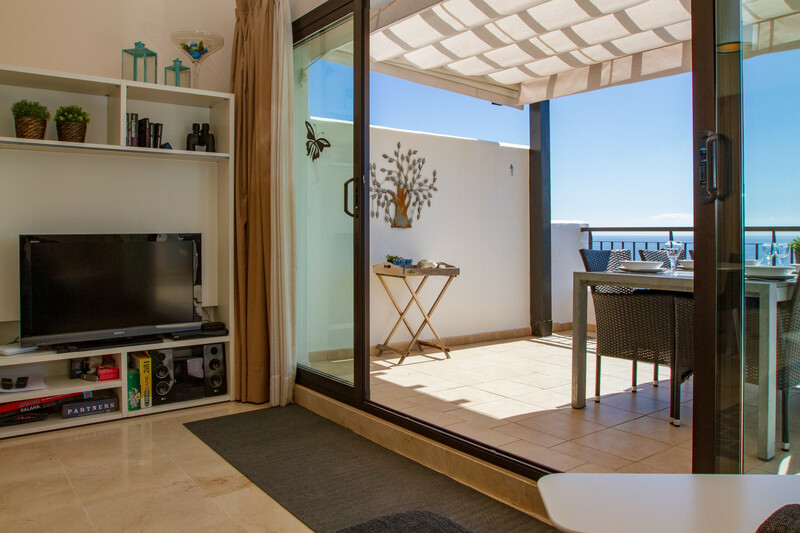 A holiday apartment perfect for everyone who wants to spoil themselves! 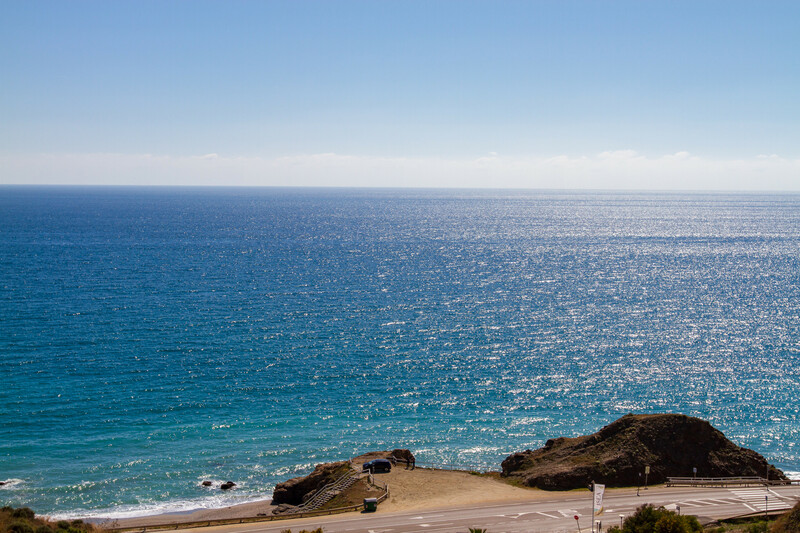 NOTE: Own car or rental car is essential! 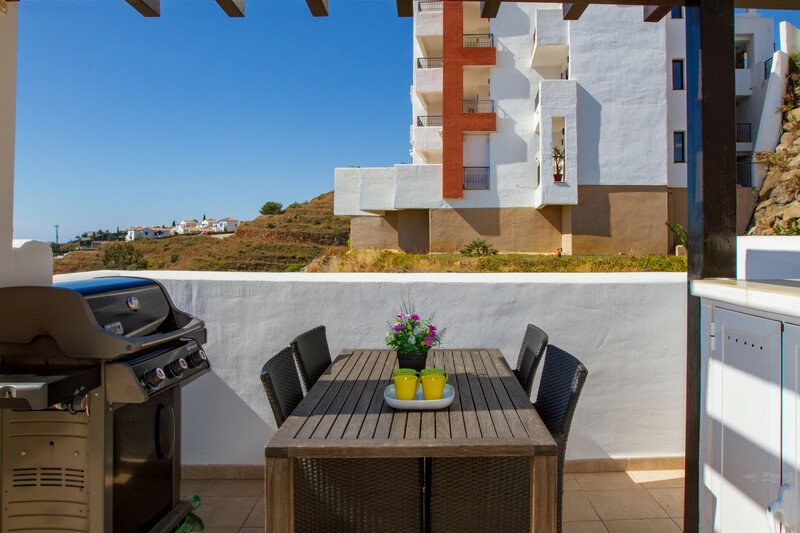 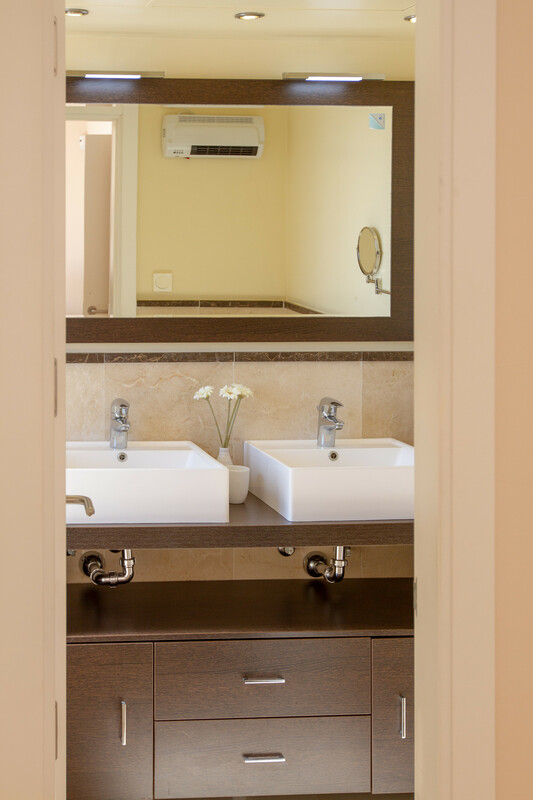 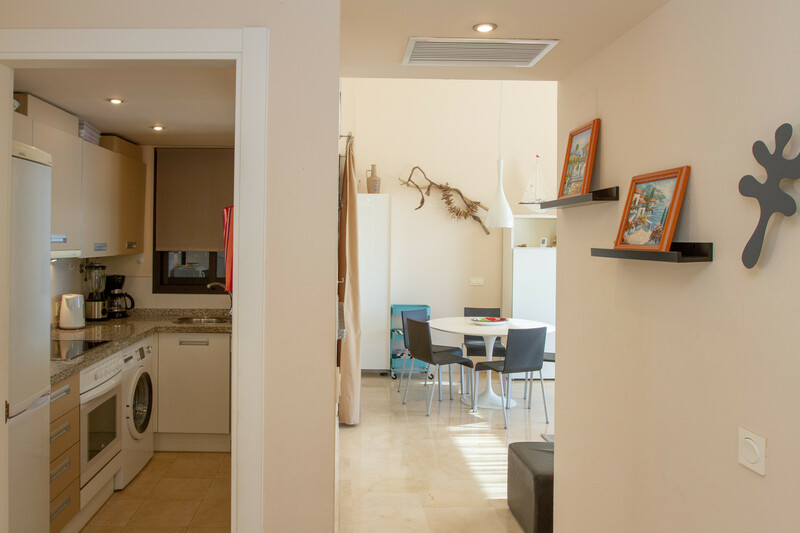 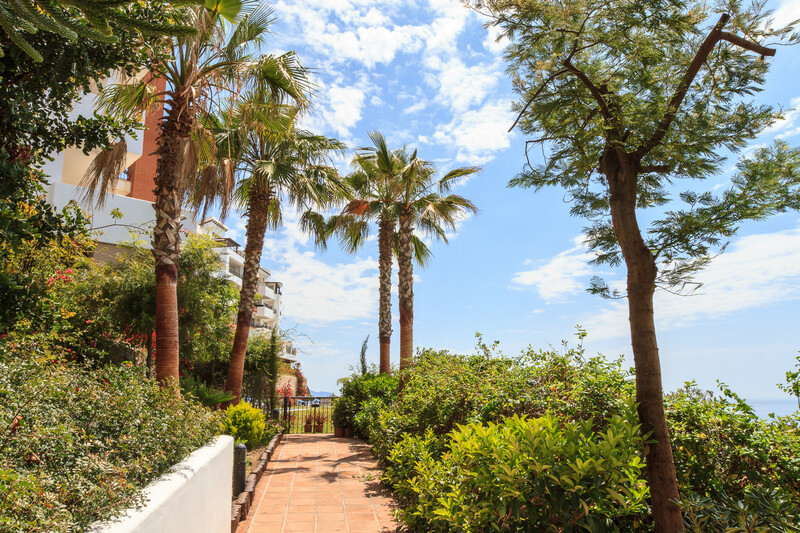 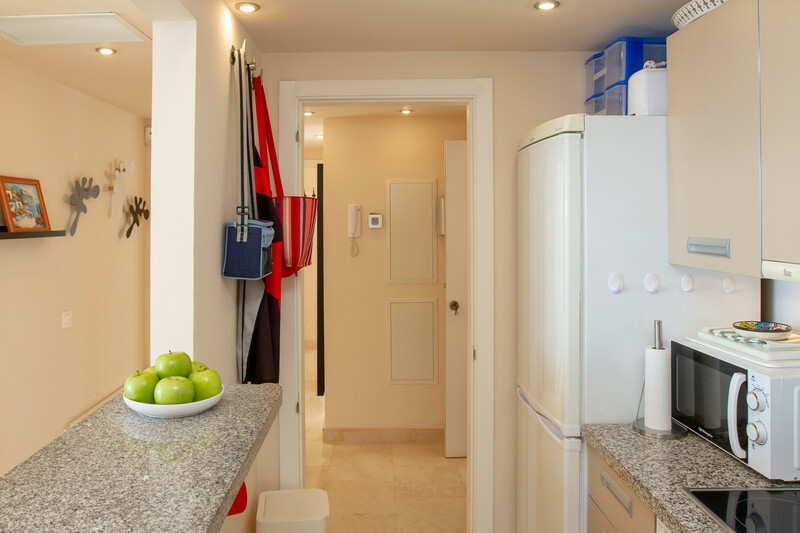 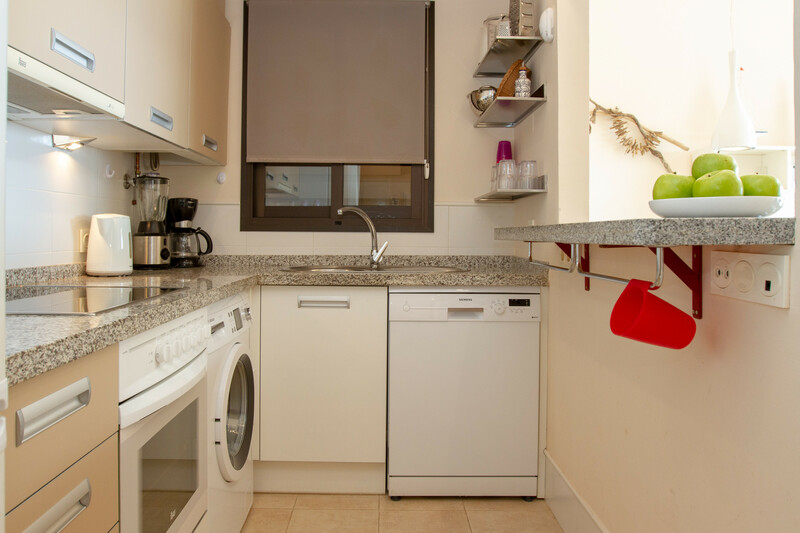 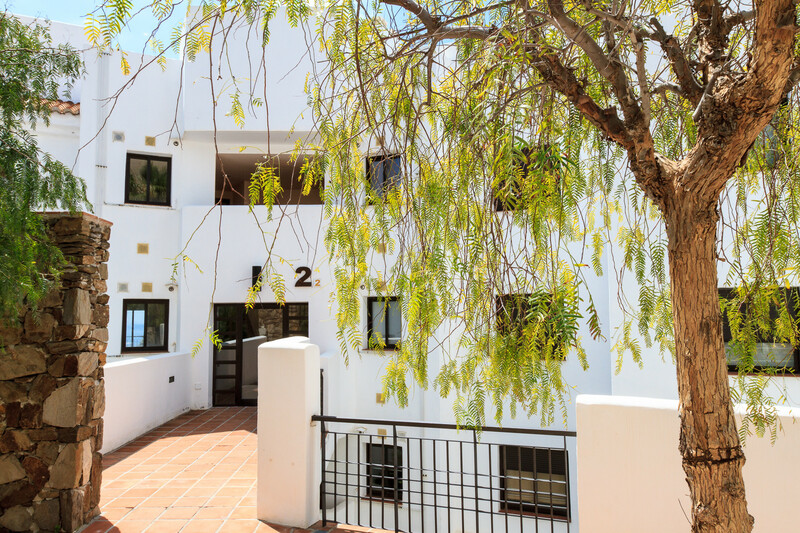 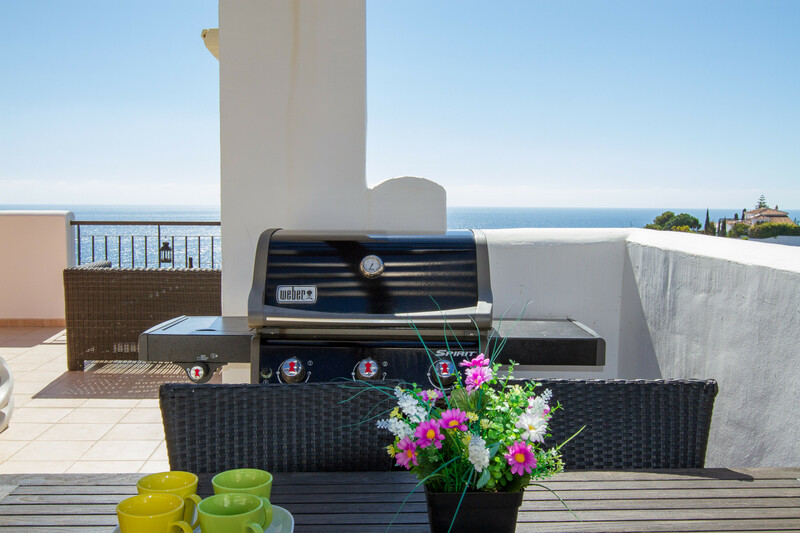 1 TV, TV Satellite (Languages: Spanish, English, Swedish, Norwegian), DVD, 4rd floor, lift, garden furniture, 90 m² terrace, barbecue, iron, internet (Wi-Fi), hair dryer, 90 m² property, admitted animals with weight up to 247 oz (Dangerous breed dogs not allowed), air conditioning (hot/cold), air-conditioned, communal+children's swimming pool, Garage in the same building.